A writer turned lawyer turned writer. Robert Dugani was born on February 17, 1961 in Pocatello, Idaho, United States. He was raised in Northern California the middle child of a family of ten siblings. Dugoni jokes that he didn’t get much of a chance to talk, so he wrote. By the seventh grade he knew he wanted to be a writer. Quite a departure from Dugoni’s dark novels about Detective Tracy Crosswhite (The Trapped Girl, 2017, etc. ): the frankly inspirational tale of a boy who overcomes the tremendous obstacles occasioned by the color of his eyes. Samuel James Hill is born with ocular albinism, a rare condition that makes his eyes red. Dubbed “the devil boy” by his classmates at Our Lady of Mercy, the Catholic school his mother, Madeline, fights to get him into, he faces loneliness, alienation, and daily ridicule, especially from David Freemon, a merciless bully who keeps finding new ways to torment him, and Sister Beatrice, the school’s principal and Freemon’s enabler, who in her own subtler ways is every bit as vindictive as he is. Only the friendship of two other outsiders, African-American athlete Ernie Cantwell and free-spirited nonconformist Michaela Kennedy, allows him to survive his trying years at OLM. In high school, Sam finds that nearly every routine milestone—the tryouts for the basketball team, the senior prom, the naming of the class valedictorian—represents new challenges. Even Sam’s graduation is blasted by a new crisis, though this one isn’t rooted in his red eyes. Determined to escape from the Bay Area suburb of Burlingame, he finds himself meeting the same problems, often embodied in the very same people, over and over. Yet although he rejects his mother’s unwavering faith in divine providence, he triumphs in the end by recognizing himself in other people and assuming the roles of the friends and mentors who helped bring him to adulthood. Dugoni throws in everything but a pilgrimage to Lourdes, and then adds that trip as well. Although the author acknowledges in a postscript that his story is perhaps “too episodic,” his life of Sam Hell is inspiring and aglow with the promise of redemption. The audio book is narrated by the author and is 11 hrs and 41 mins. 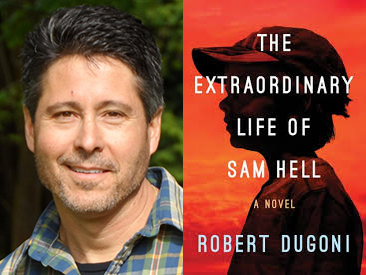 Watch Robert Dugani’s interview on his novel The Extraordinary Life of Sam Hell YouTube. Pam is the author of The Kommandant’s Girl, which was an international bestseller and nominated for a Quill award, as well as The Diplomat’s Wife, The Ambassador’s Daughter, Almost Home, A Hidden Affair and The Things We Cherished. She lives outside Philadelphia with her husband and three children. An absorbing saga of 20th-century Korean experience, seen through the fate of four generations. A Jewish trapeze artist and a Dutch unwed mother bond, after much aerial practice, as the circus comes to Nazi-occupied France. Ingrid grew up in a Jewish circus family in Darmstadt, Germany. In 1934, she marries Erich, a German officer, and settles in Berlin. In 1942, as the war and Holocaust escalate, Erich is forced to divorce Ingrid. She returns to Darmstadt to find that her family has disappeared. A rival German circus clan, led by its patriarch, Herr Neuhoff, takes her in, giving her a stage name, Astrid, and forged Aryan papers. As she rehearses for the circus’ coming French tour, she once again experiences the freedom of an accomplished aerialist, even as her age, late 20s, catches up with her. The point of view shifts (and will alternate throughout) to Noa, a Dutch teenager thrown out by her formerly loving father when she gets pregnant by a German soldier. After leaving the German unwed mothers’ home where her infant has been taken away, either for the Reich’s Lebensborn adoption program or a worse fate, Noa finds work sweeping a train station. When she comes upon a boxcar full of dead or dying infants, she impulsively grabs one who resembles her own child, later naming him Theo. By chance, Noa and Theo are also rescued by Neuhoff, who offers her refuge in the circus, provided she can learn the trapeze. The tour begins with a stop in Thiers, France. Astrid is still leery of her new apprentice, but Noa catches on quickly and soon must replace Astrid in the act due to the risk that a Nazi spectator might recognize her. Noa falls in love with the mayor’s son, Luc, who Astrid suspects is a collaborator. Astrid’s Russian lover, Peter, a clown, tempts fate with a goose-stepping satire routine, and soon the circus will afford little protection to anybody. The diction seems too contemporary for the period, and the degree of danger the characters are in is more often summarized than demonstrated. An interesting premise imperfectly executed. The audio book is narrated by Jennifer Wydra, Kyla Garcia and is 12 hrs and 57 mins. 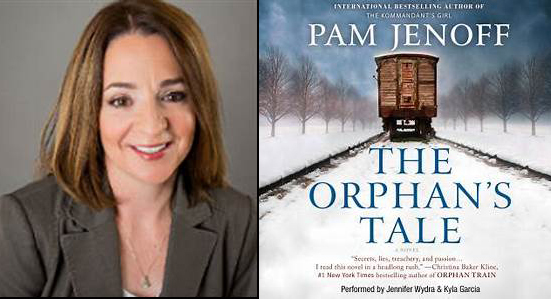 View Pam Jenoff on her novel The Orphan’s Tale YouTube. Lee was born in Seoul, South Korea. Her family came to the United States in 1976, when she was seven years old, and she grew up in Elmhurst, Queens, New York. Her parents owned a wholesale jewelry store there. She attended the Bronx High School of Science, and later studied history at Yale College and law at Georgetown University Law Center. She also worked as a corporate lawyer in New York for several years before becoming a writer. She lived in Japan for four years from 2007 to 2011. Lee lives in New York with her son, Sam, and her husband, Christopher Duffy, who is half-Japanese. Lee also served three consecutive seasons as a “Morning Forum” English-language columnist of South Korea’s newspaper Chosun Ilbo. She has also lectured about writing, literature, and politics at Columbia, Tufts, Loyola Marymount University, Stanford, Johns Hopkins (SAIS), University of Connecticut, Boston College, Hamilton College, Harvard Law School, Yale University, Ewha University, Waseda University, the American School in Japan, World Women’s Forum, the Tokyo American Center of the U.S. Embassy and the Asia Society in New York, San Francisco and Hong Kong. Lee (Free Food for Millionaires, 2007) built her debut novel around families of Korean-Americans living in New York. In her second novel, she traces the Korean diaspora back to the time of Japan’s annexation of Korea in 1910. “History has failed us,” she writes in the opening line of the current epic, “but no matter.” She begins her tale in a village in Busan with an aging fisherman and his wife whose son is born with a cleft palate and a twisted foot. Nonetheless, he is matched with a fine wife, and the two of them run the boardinghouse he inherits from his parents. After many losses, the couple cherishes their smart, hardworking daughter, Sunja. When Sunja gets pregnant after a dalliance with a persistent, wealthy married man, one of their boarders—a sickly but handsome and deeply kind pastor—offers to marry her and take her away with him to Japan. There, she meets his brother and sister-in-law, a woman lovely in face and spirit, full of entrepreneurial ambition that she and Sunja will realize together as they support the family with kimchi and candy operations through war and hard times. Sunja’s first son becomes a brilliant scholar; her second ends up making a fortune running parlors for pachinko, a pinball-like game played for money. Meanwhile, her first son’s real father, the married rich guy, is never far from the scene, a source of both invaluable help and heartbreaking woe. As the destinies of Sunja’s children and grandchildren unfold, love, luck, and talent combine with cruelty and random misfortune in a deeply compelling story, with the troubles of ethnic Koreans living in Japan never far from view. An old-fashioned epic whose simple, captivating storytelling delivers both wisdom and truth. The audio book is narrated by Allison Hiroto and is 18 hrs and 16 mins long. 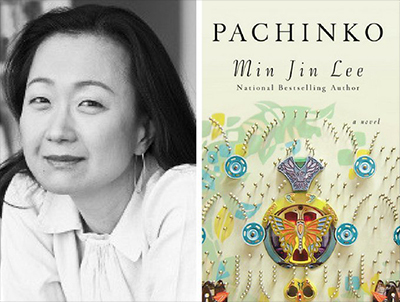 View Min Jin Lee on her novel Pachinko YouTube. S. (Shannon) A. Chakraborty is an American writer of speculative fiction, whose debut novel, The City of Brass, was published in 2017. Chakraborty was born in New Jersey and now makes her home with her husband and daughter in Queens, New York City, New York. When she’s not pouring over books on Mughal portraiture or Omani history, Chakraborty is active in the Brooklyn Speculative Fiction Writers’ Group as one of its organizers. Hiking, knitting, and cooking “unnecessarily complicated medieval meals” at home, occupy whatever spare time is left. A rich Middle Eastern fantasy, the first of a trilogy: Chakraborty’s intriguing debut. On the streets of 18th-century Cairo, young Nahri—she has a real talent for medicine but lacks the wherewithal to acquire proper training—makes a living swindling Ottoman nobles by pretending to wield supernatural powers she doesn’t believe in. Then, during a supposed exorcism, she somehow summons a mysterious djinn warrior named Dara, whose magic is both real and incomprehensibly powerful. Dara insists that Nahri is no longer safe—evil djinn threaten her life, so he must convey her to Daevabad, a legendary eastern city protected by impervious magical brass walls. During the hair-raising journey by flying carpet, Nahri meets spirits and monsters and develops feelings for Dara, a deeply conflicted being with a long, tangled past. At Daevabad she’s astonished to learn that she’s the daughter of a legendary healer of the Nahid family. All the more surprising, then, that King Ghassan, whose ancestor overthrew the ruling Nahid Council and stole Suleiman’s seal, which nullifies magic, welcomes her. With Ghassan’s younger son, Prince Ali, Nahri becomes immersed in the city’s deeply divisive (and not infrequently confusing) religious, political, and racial tensions. Meanwhile, Dara’s emerging history and personality grow more and more bewildering and ambiguous. Against this syncretic yet nonderivative and totally credible backdrop, Chakraborty has constructed a compelling yarn of personal ambition, power politics, racial and religious tensions, strange magics, and terrifying creatures, culminating in a cataclysmic showdown that few readers will anticipate. The expected first-novel flaws—a few character inconsistencies, plot swirls that peter out, the odd patch where the author assumes facts not in evidence—matter little. Best of all, the narrative feels rounded and complete yet poised to deliver still more. Highly impressive and exceptionally promising. The audio book is narrated by Soneela Nankani. It is 19 hrs and 35 mins long. 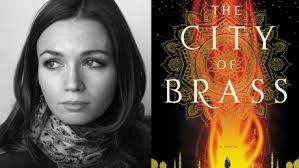 View S. A. Chakraborty on her novel THE CITY OF BRASS YouTube. Wiley Cash is from western North Carolina, a region that figures prominently in his fiction. A Land More Than Home, his first novel was published in 2012, followed by This Dark Road to Mercy in 2014, and The Last Ballad in 2017. Wiley holds a B.A. in Literature from the University of North Carolina-Asheville, an M.A. in English from the University of North Carolina-Greensboro, and a Ph.D. in English from the University of Louisiana-Lafayette (where he studied under author Ernest Gaines). He has received grants and fellowships from the Asheville Area Arts Council, the Thomas Wolfe Society, the MacDowell Colony, and Yaddo. His stories have appeared in Crab Orchard Review, Roanoke Review and Carolina Quarterly, and his essays on Southern literature have appeared in American Literary Realism, South Carolina Review, and other publications. 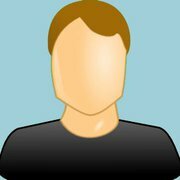 Wiley lives with his wife and two daughters in Wilmington, North Carolina. He serves as the writer-in-residence at the University of North Carolina-Asheville and teaches in the Mountainview Low-Residency MFA. Inspired by the events of an actual textile-mill strike in 1929, Cash (This Dark Road to Mercy, 2014, etc.) creates a vivid picture of one woman’s desperation. Ella May Wiggins works long, grueling hours in a mill, but it still isn’t enough to keep her children fed. The year is 1929, and fed-up workers are fighting for rights like a standard wage, a five-day work week, and equal pay for equal work. Ella’s curiosity about the union leads her to attend a rally in a neighboring town, but when she gets up on stage to sing a song that she wrote, she becomes an unexpected star of the labor movement. Her prominence makes her a target for those who view union members as communists, and Ella’s belief that African-Americans should be included in the union places her in even more danger. But Ella’s voice isn’t the only one Cash explores—there are multiple points of view, including Ella’s now-elderly daughter Lilly, an African-American porter named Hampton, and several others whose lives intersect with Ella’s. Cash vividly illustrates the difficulties of Ella’s life; her exhaustion and desperation leap off the page. She faces extreme hardship in her fight for workers’ rights, but it’s always clear that she keeps going because of her love for her children. Although it is initially a bit difficult to keep so many points of view straight, it is satisfying to see them all connect. It’s refreshing that Cash highlights the struggles of often forgotten heroes and shows how crucial women and African-Americans were in the fight for workers’ rights. A heartbreaking and beautifully written look at the real people involved in the labor movement. The audio book is narrated by Karen White and Elizabeth Wiley. It is 14 hrs and 6 mins long. 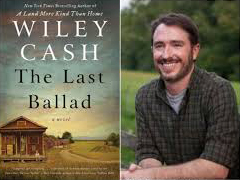 View Wiley Cash on his novel THE LAST BALLAD YouTube.